Experience true luxury living at the new Hanover at Andover, the best luxury apartments in all of Boston. We are conveniently located in the quiet suburbs of Boston in one of the most sought-after neighborhoods, Andover, MA. Our luxury apartment homes feature large gourmet kitchens, granite and quartz countertops, custom cabinetry, spacious living areas with vaulted ceilings and private terraces, bask in the sleek stylings provided. Browse through our image gallery below.  See for yourself why Hanover at Andover is the best luxury apartments in the Greater Boston area. We know you’ll find what you’re looking for. Contact our dedicated leasing office staff today to schedule your tour!